From cupcakes to cookies (! ), this friendly blue Sesame Street favorite! 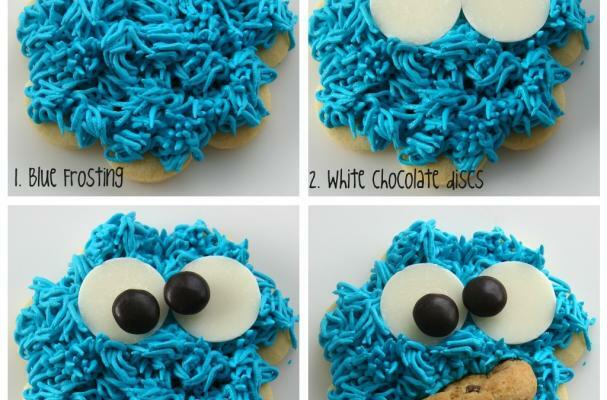 Here are three great design ideas for Cookie Monster confections =) Gluten free? Use your favorite cupcake or sugar cookie recipe as the basis for these recipes. Using broken cookie bits, these adorable cupcakes are simply scrumptious. What could be more appropriate?! Seen above, Katrina's design is incredibly simple and utterly delicious, perfeect for little helpers!